When faced with the cost and hassle of repairing wood rot and repainting windows, trim, railings, and siding, many homeowners now look for other options. Let Home Pro Remodeling transform all those high-maintenance materials into beautiful long lasting, and care free features of your home. Besides easy maintenance, replacement windows offer many other benefits. Our double pane, insulated vinyl replacement windows save energy, while the tilt in design and removable grills make cleaning a snap. In addition, a better locking system provides more security. And, when we wrap the exterior sill and mouldings in custom-bent aluminum, the result is a virtually maintenance-free window. 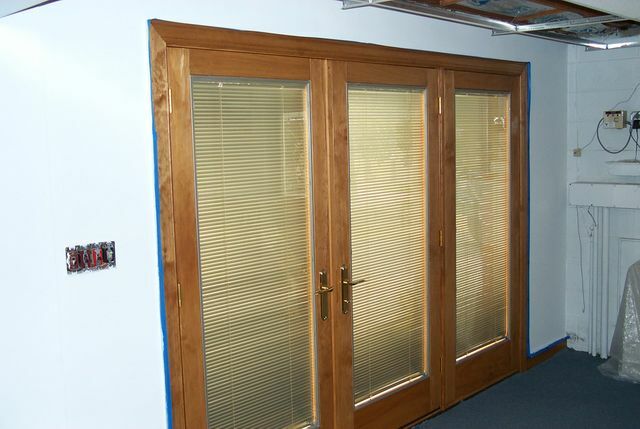 We also can add or replace all types of exterior doors including french doors, sliding or hinged patio doors, storm doors, and more ... And don't forget new, energy efficient and weather tight skylights! Today's vinyl siding offers limitless designs, including many with the look and texture of real wood. Revolutionary developments in vinyl siding insure decades of weatherability and protection from wood-boring insects. 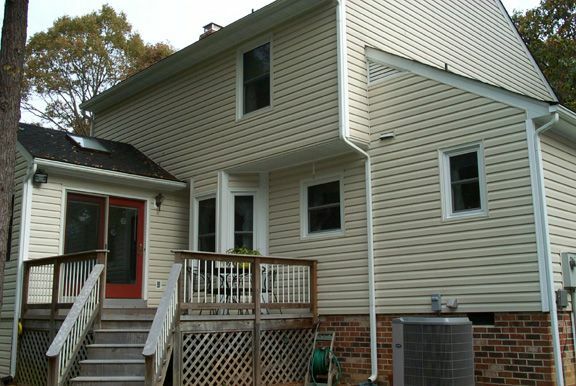 Let Home Pro Remodeling install long lasting vinyl siding and custom bent aluminum trim. Coupled with vinyl replacement windows, this home improvement virtually eliminates any future exterior maintenance. Call us ... and never paint again! Home Pro Remodeling installs only high quality, seamless, aluminum gutters, in your choice of colors. Our professional installers use hidden brackets for a straight, clean appearance, to ensure your new or replacement gutters add value and beauty to your home. Of course, gutters must remain free of debris to work efficiently. Let us install a quality gutter guard system. Unlike the flimsy, do-it yourself guards, these top quality products offer years and years of maintenance free use -- and keep you from climbing ladders and walking on the roof to clean your gutters every season!